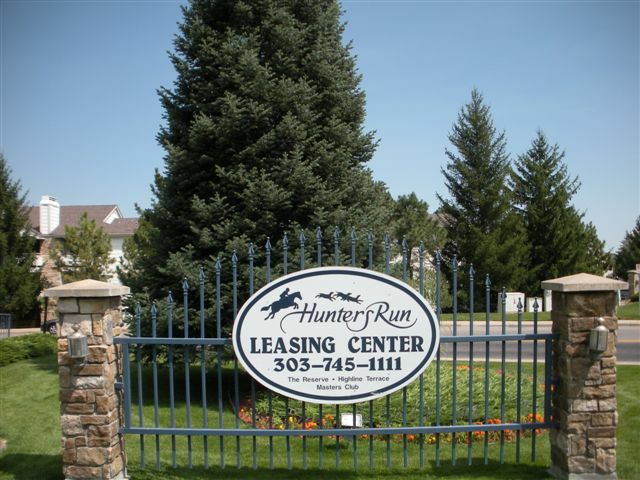 Hunter’s Run Apartment homes are located around the secluded Highline Canal and Cherry Creek area which makes it an extraordinary place to live. The conveniently prime location gives you easy access to I-225 and I-25 and puts you within minutes of downtown Denver, the Denver Tech Center and DIA. There is an abundance of recreation centers, parks, movie theaters and upscale shopping only a few miles away. We offer ten unique floor plans from three distinctive properties which feature washer and dryers in every apartment home, individual wood burning fireplaces and central A/C and heating. Hunter’s Run carefree living affords you the freedom to experience and explore all Colorado has to offer. Go ahead; make your mark in the west! Hunter's Run | 7777 E. Yale Avenu, Denver, CO 80231 | 303.745.1111 | © 2018 All rights reserved.